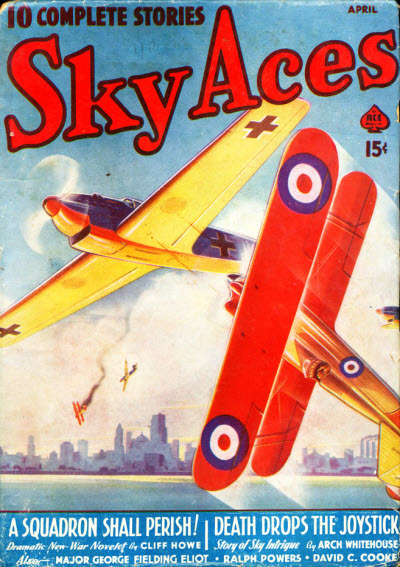 One story was announced for the unpublished January 1938 issue. 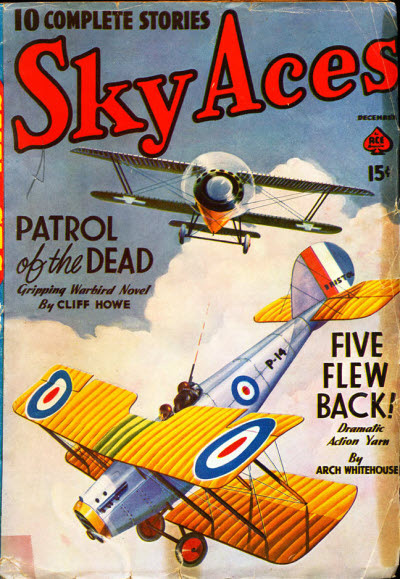 One story was announced for the unpublished Febuary 1938 issue. 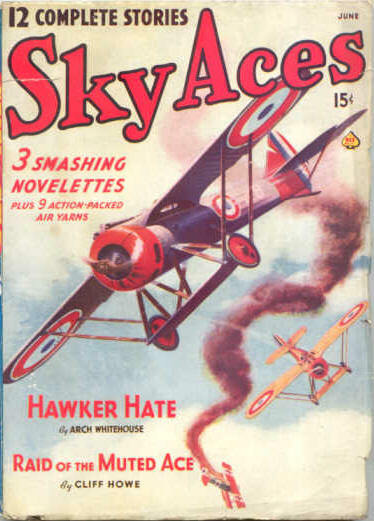 82 · Hotchkiss Challenge · William Kershaw · ss; possibly a reprint of Boomerang Bombs by Marshall Perham (Flying Aces, October 1933). 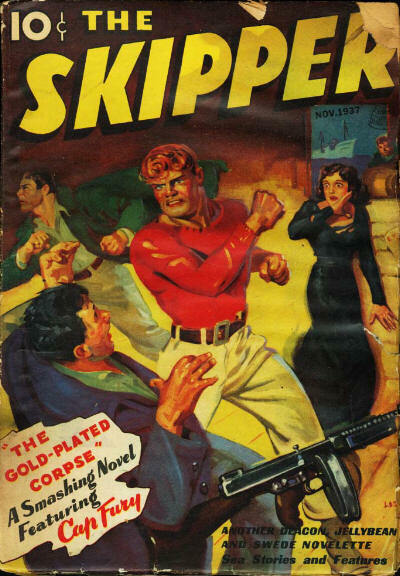 116 · One Punch Is Plenty · James Perley Hughes · ss; possibly a reprint of The K.O. 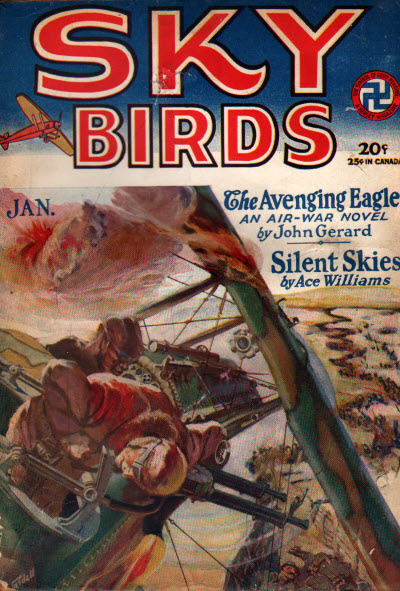 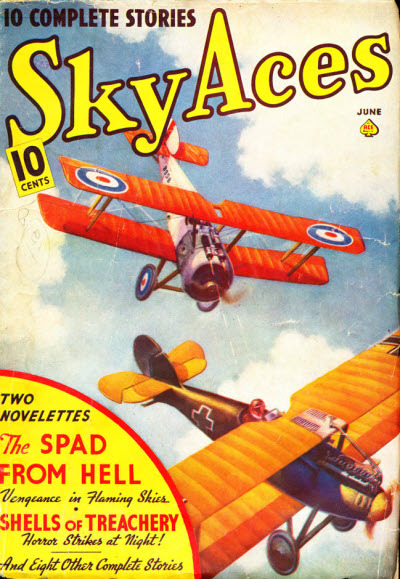 Flight (Flying Aces, July 1933). 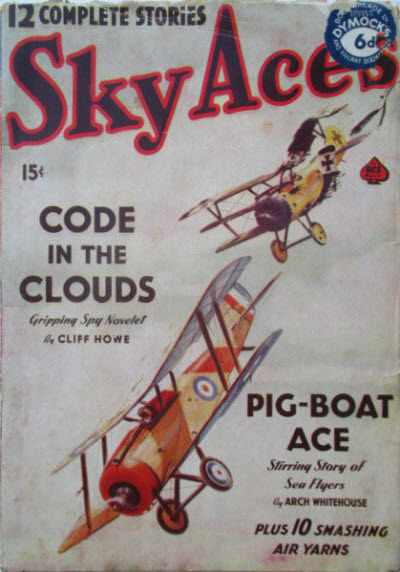 33 · Crazy Like a Fox · William Kershaw · ss; possibly a reprint of The Flying Fox by Archibald Johnston (Flying Aces, August 1933). 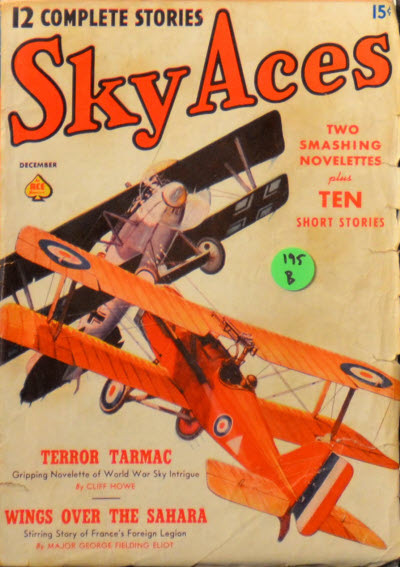 115 · Pilots Are Born [Harold Blisworth] · Ralph Powers · ss; possibly a reprint of Heroes Are Born by Arch Whitehouse (Flying Aces, September 1930). 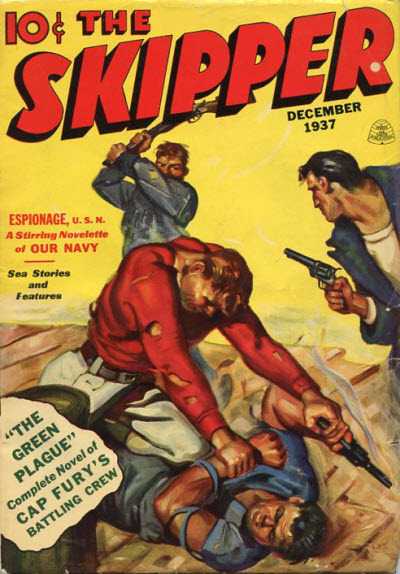 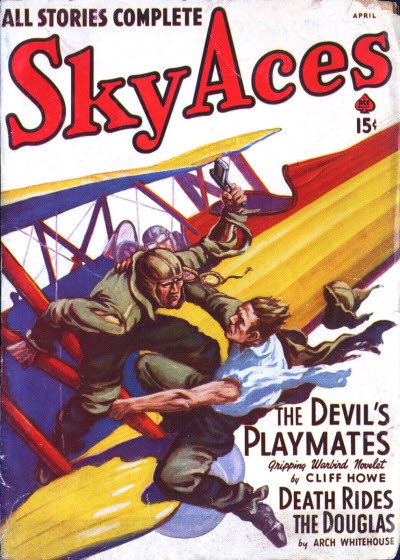 32 · Sky Gambler · Ralph Powers · ss; possibly a reprint of Suicide Struts by William E. Barrett (Flying Aces, October 1931). 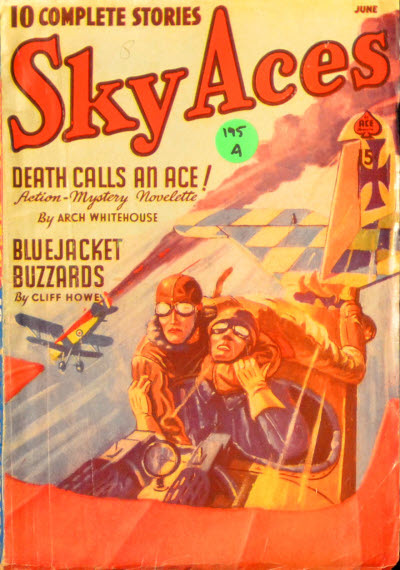 41 · An Ace Must Die! 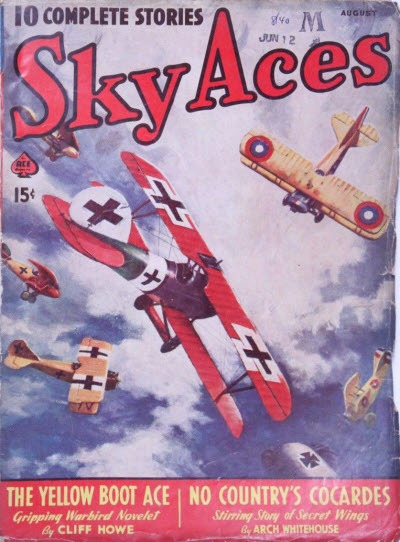 · Ralph Powers · ss; possibly a reprint of The Flying Uhlan by T.W. 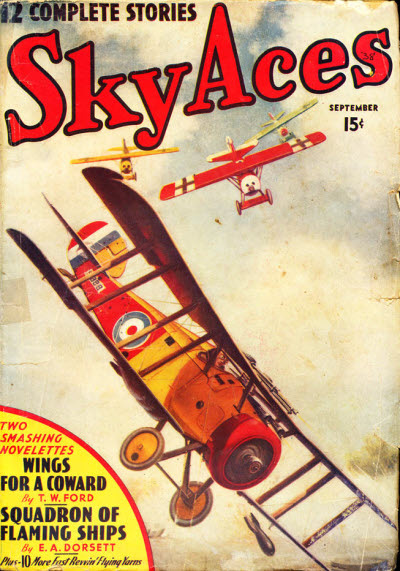 Ford (Flying Aces, November 1930). 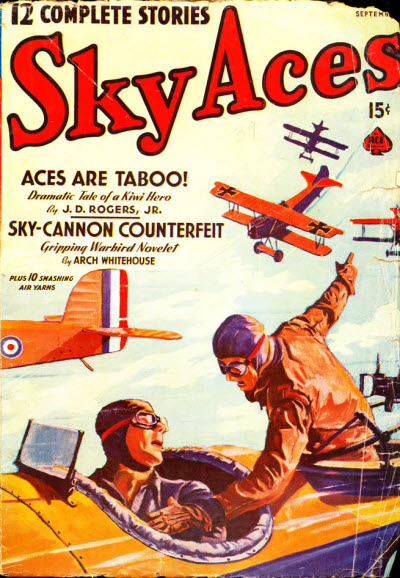 98 · Joystick Justice · Leslie Lord · ss; possibly a reprint of High Stakes by Robert S. Fenton (Flying Aces, October 1932). 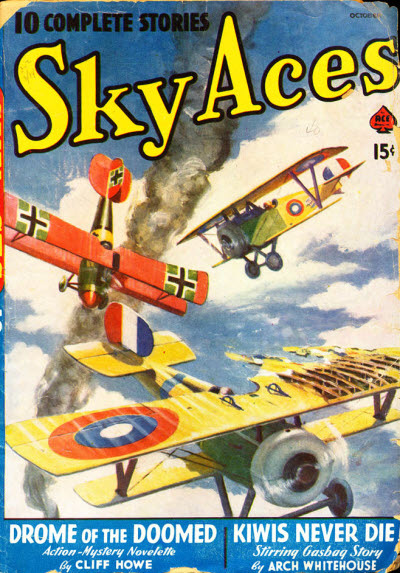 52 · Flying Tackles · David C. Cooke · ss; Thrilling yarn of the Nazi War. 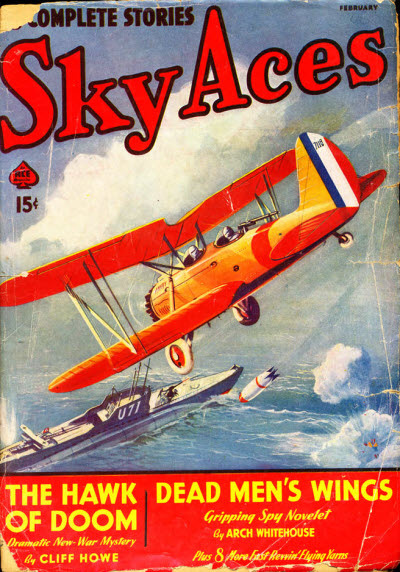 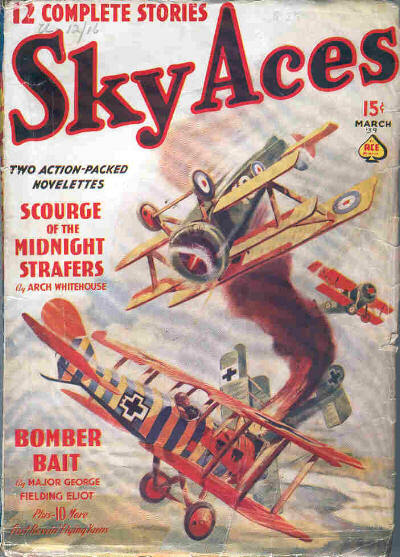 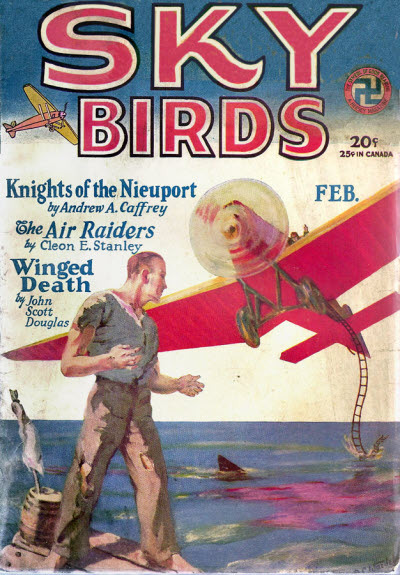 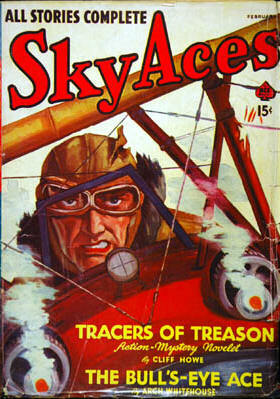 104 · Trigger Intrigue · Charles Little · ss; possibly a reprint of Sky Pals by Arch Whitehouse (Flying Aces, January 1930).